What caused the 2008-2009 financial collapse? Simple greed and incompetence? The unfortunate “perfect storm” confluence of economic cycles, globalization, and other hard-to-predict factors? Yes, yes, and yes. But something deeper was also at work. Understanding this more fundamental ingredient in what we saw will be key to a healthy and sustainable economic future. I suspect the more basic contributor was ideological. Ideology as I use the word here refers not to liberal or conservation economic theories, but rather to commonly held but ultimately limited and limiting beliefs. We appropriately ask how the best of economic and political minds—and all of us—could have been blind to what was in hindsight a situation that was as unstable as a house-of-cards. Neither self-interest nor simple ignorance ultimately explains why events unfolded as they did. Just what did the experts miss? Certainly they missed how deregulation had created perverse incentives that changed how bankers behaved. Had experts viewed the industry even with the most rudimentary of systemic thinking, they would have been alerted to the potential for destabilization and crisis. Back when banks were self-contained entities, bankers were conservative folk. But when regulations changed so that mortgage banks could sell loans to investors, the incentive situation changed too. The financial meltdown was commonly attributed to bankers taking unwise risks. But in most cases, the loans really weren’t risks—for the bankers. Because bankers resold the loans relatively quickly, they would profit whether the loan ultimately failed or not. With the financial collapse, individual mortgage holders and investors suffered miserably. Bankers, for the most part, escaped unscathed. Some profited enormously. But the blindness ultimately reached further. Economists—and most everyone else—were in denial about the fact that housing prices could go down as well as up (an occurrence that any look at history suggests not only happens, but is inevitable given enough time). All it would have taken to produce the cascade of events that we observed was for housing prices to do down 10 percent. Prices eventually went down nationally an average over 30 percent. How could people be so blind—and I include very smart people? In 2004, then chairman of the U.S. Federal Reserve Alan Greenspan proclaimed “Not only have individuals become less vulnerable to shocks from underlying risk factors, but also the financial system as a whole has become more resilient”—this specifically in reference to highly interlinked financial instruments such as derivatives that played a central role in the eventual meltdown. (Some people did anticipate the problem. Warren Buffet warned that derivatives were “financial weapons of mass destruction carrying dangers, that while latent, are potentially lethal.”) It is forgivable that economic experts did not accurately forecast just when an economic downturn might occur. But that the greater portion of economic minds did not recognize fundamental instabilities—in hindsight glaring—suggests a more deeply rooted kind of blindness than just selfishness or stupidity. That deeper blindness is a product of our time. Today we mythologize money, make it our “bottom line,” and in the end, our god. Culturally mature perspective does not condemn this. Rather it sees our worship of money as a predicted culminating expression of our most recent stage in culture’s story. We may criticize as naive the “masters of the universe” belief that unfettered free markets can be self-regulating. But this kind of thinking is what we get it if we extend to its logical extreme the materialist/individualist worldview that has produced much that today we most prize in our modern lives. Today we confront limits not just to the effectiveness of past economic policies, but to how we have until now thought about wealth and advancement more generally. This more encompassing factor may or may not have been a major ingredient in this particular downturn. 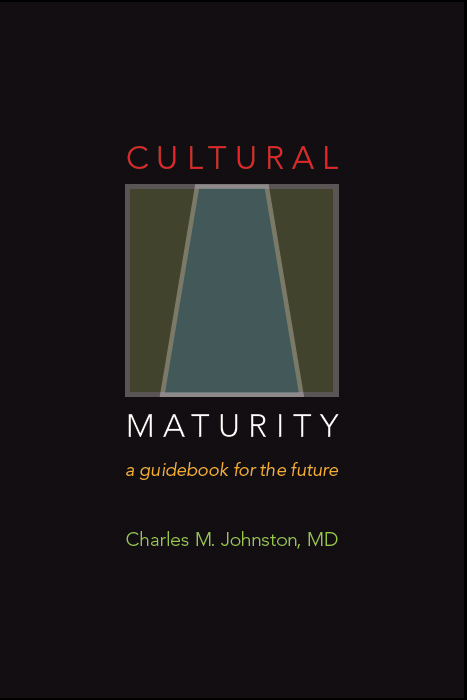 But if the concept of Cultural Maturity is correct, it will be a factor eventually. We’ve come in our time to measure social and individual well-being almost wholly in economic terms—such as individual “net worth” and rising GDP (a wholly monetary measure). But today we find a new willingness to question this limits-denying picture on both fronts. We are recognizing how a solely material yardstick is inadequate for measuring the health of societies or even the stability of economies. 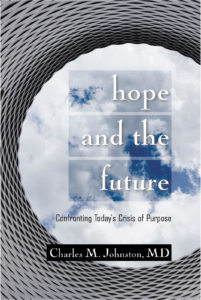 More personally, empty materialism is a major contributor to the loss of hope and purpose so common in our time. For a healthy and vital future, we will need more encompassing and complete ways to think about and measure what matters. It is important to appreciate that this is not the first time our relationship to money has changed. If we lived in the Middle Ages or a tribal culture, we would likely find modern material values unacceptable. While material wealth had significant influence in the Middle Ages, simple greed was considered one of the seven deadly sins. And in tribal societies, the difference is even more pronounced—there is not room for individual advantage that threatens the well-being of the group. These differences are of more than casual consequence and not just because they helps us appreciate that rethinking what matters is nothing new. Much of the antipathy non-Western peoples can have for Western values lies in these differences that can be perceived as deeply moral distinctions. The advances of the Modern Age have been wondrous. And modern age advances would not have been possible without today’s more individualist and materialist view of the world and the values that accompanied it. But for the future we can’t stop there. This is not to call for some opposite “small is beautiful” advocacy. It is to call loudly for rethinking collective and personal wealth in ways that more fully take into account all that creates human meaning, and, more specifically, all that human meaning asks of us in our particular time.